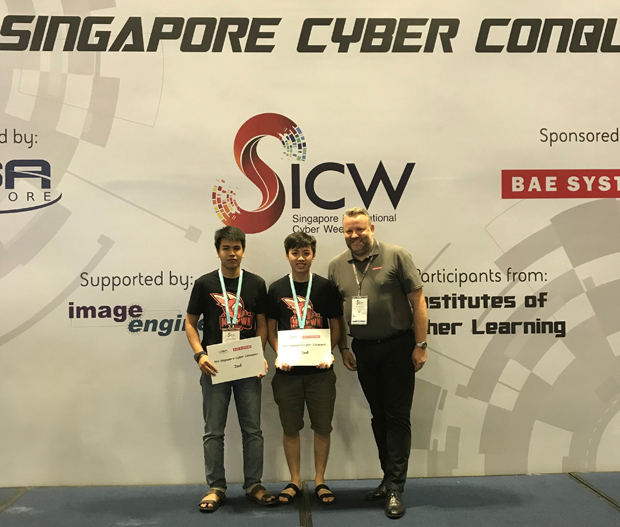 Two students Pham Hong Phi and Bui Minh Tien Dat from the University of Information Technology, VNU-HCM has won the second prize at the Singapore Cyber Conquest 2018. Singapore Cyber Conquest has a total of 36 teams, including 27 Singaporean teams and 9 teams from Southeast Asia. This is the ninth Singapore Cyber Conquest to be held for students and graduate students with skills and knowledge of cyber security. 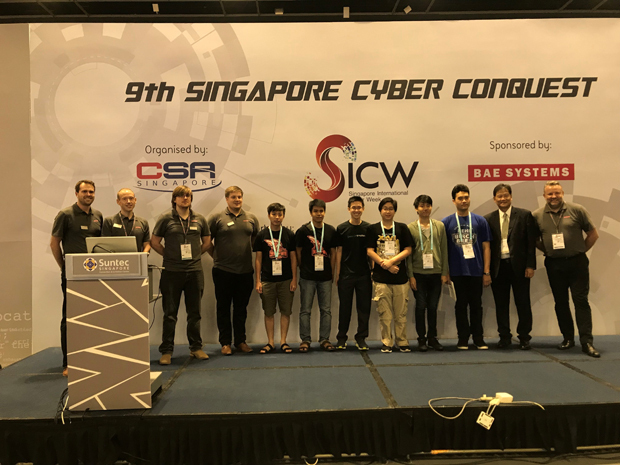 When participating in the Singapore Cyber Conquest, contestants will have to race to complete a series of cyber security challenges given by the organizers. 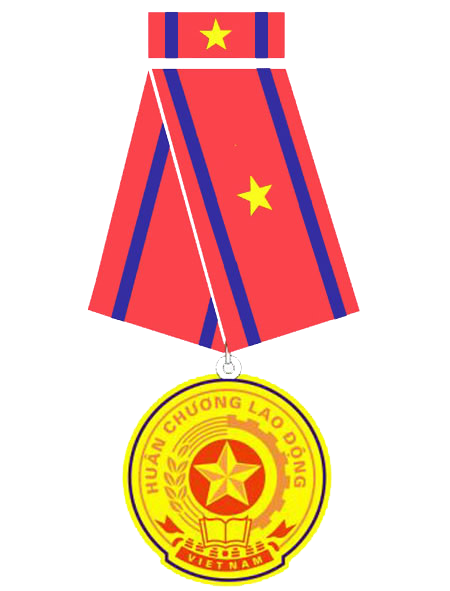 Previously, two students Pham Hong Phi and Bui Minh Tien Dat belong to the first prize team of “Student with Information Security” Contest in 2017 were selected by VNcert Emergency Response Center to represent Vietnam in the competition.